Selecting a fund is more art than science. And sometimes the popular pictures aren't too pretty when you look at them carefully. Let’s say you’ve set up your self-managed super fund (SMSF) and made your initial asset allocation decisions. You’ve decided that a portion of your portfolio should be invested in Australian shares. You’ve also reasoned that you don’t have the time, knowledge or inclination to select and manage a portfolio of individual shares. The next question is: 'how you should go about getting your exposure to Australian shares?'. Low-cost options like exchange traded funds (such as Vanguard ASX 300 ETF (VAS) or SPDR ASX 200 ETF (STW)) are a sensible way to get at least some exposure, so look out for a special report on ETFs coming in December. Another option is to select a few ‘active’ fund managers who might give you a shot at performing better than the market over the years (even after they’ve taken out their fees). Selecting a fund is more art than science. Despite fancy-looking ratings from various organisations, there is no Google-like algorithm of past statistics that can predict a fund’s future performance (or an individual stock’s, for that matter). In the end, it comes down to human judgment. And in this article we’re going to apply our judgment to funds which focus on larger Australian shares. Let’s start with investing philosophy. Of the myriad fund managers out there, we’ve restricted ourselves to a group of managers who take a value investing approach, or at least claim to. Of the five funds listed in Table 1, you may recognise a few names. That table also highlights key figures like the fund’s size, fees, buy/sell spread (a cost of getting into and out of the fund), minimum investment amount (though most offer lower minimums if you commit to regular contributions) and distribution frequency. In terms of fees, all the funds are in the same ballpark, though Perennial and Investors Mutual have somewhat pernicious buy/sell spreads. As an aside, Maple-Brown Abbott and Perpetual offer ‘retail’ versions of their funds for those with smaller amounts to invest ($1,500 and $2,000 respectively) but these come with eye-watering annual fees of around 2%. That’s the equivalent of running an investment race in thongs and is to be avoided at all costs. Allan Gray’s fund has the lowest base fee but also has a performance fee. This combination effectively means that the fund has to outperform its index by 1% a year in order to achieve the same overall fee as the others, which seems fair. Table 2 sets out the performance of the funds over various time periods. We only show periods three years and longer because our experience shows shorter periods carry too much ‘noise’ and not enough ‘signal’. Two of the five funds failed to beat their benchmarks over three years and three of them fell short over five years. Ten-year data was surprisingly difficult to find for most funds. Perhaps that reflects how short-term focused investors have become (the latest monthly or quarterly returns are easily located). A lack of variation from the benchmark hints that most of these funds might be what industry insiders would call ‘index huggers’. If they don’t stray too far from their benchmark in their investment choices, the chances of a mass exodus of clients after a rough patch of performance are reduced (explained away by ‘the markets’ having a bad year or two). The problem with this approach, for clients at least, is that it makes it almost mathematically impossible for these funds to beat their benchmarks after they take out their fees. And that rather defeats the purpose of seeking an active manager in the first place. Returns from Maple-Brown Abbott, Perpetual and Perennial confirm that principle. The two worth highlighting are Investors Mutual and Allan Gray. Both of these managers have opened up a noticeable advantage relative to their benchmarks over useful timeframes. This indicates that they’re doing something more than hugging the index. Heaven forbid they might actually be doing what they’re paid so handsomely for and ‘actively managing’ their clients’ money. It speaks to the sorry state of this industry that such behaviour is not the norm. But in the land of index-hugging fee-gougers, the reasonably-priced active manager is king. If we needed further evidence of what we sensed from the performance figures, it’s provided by comparing the top five holdings of each fund, which you can see in Table 3. Maple-Brown Abbott and Perennial are almost identical and, other than the absence of Commonwealth Bank and the inclusion of Telstra in fifth place (it’s sixth in the index), their holdings are very close to the benchmark. Perpetual Industrial stands out due to its lack of BHP Billiton but that’s explained by the fund’s name; it doesn’t hold resources stocks. So, taking that into account, we end up with four big banks and one ‘wildcard’ in Boral. Hardly inspiring (or balanced) stuff. And it’s not worth paying them 1% per year (and certainly not 2% in the retail option) to do it on your behalf. We couldn’t find the percentage allocations for Investors Mutual’s top holdings but you can see it’s made relative bets against BHP Billiton by having it only in fourth place and against ANZ and NAB. Telstra is slightly higher than its index ranking of third and CSL adds some interest in fifth. Between the 20 top stocks held by these four managers (excluding Allan Gray), there are only seven different stocks. If you’re going to track the index anyway, we’d suggest it’s worth saving some fees by using an ETF. That saving will put you ahead of the ‘active’ funds from the start and the evidence is they struggle to overcome this disadvantage. Allan Gray is once again the odd man out and, in our view, that’s a good thing. Allan Gray holds four stocks in its top five that are unique. Clearly there is more going on at their offices than replicating an index. That’s no guarantee of success but it does give their clients a shot at meaningful outperformance. Each of the funds provides monthly updates to investors which are available online. The focus of these tend to be performance, with monthly, quarterly, one-year, three-year, five-year and since inception figures generally provided (10-year figures seem to be out of fashion). A bit of market commentary is given and a list of top holdings provided. Perennnial earns itself a black mark here by giving pride of place to its returns before fees, and even having the temerity to emphasise the pre-fee ‘value added’ by their fund. News flash for Perennial’s marketing department: investors don’t benefit from pre-fee returns. It’s post-fee returns that matter and that’s what should be highlighted. 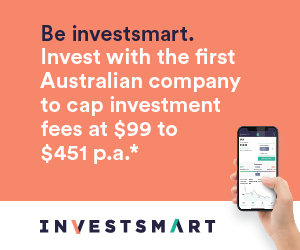 We’re ruling out the Perpetual Industrial Share Fund, Maple-Brown Abbott Australian Share Fund and Perennial Value Australian Shares Trust on the basis that they’re charging too much for doing too little on behalf of their clients. Perennial’s hefty buy/sell spread and irksome reporting also count against it. That leaves us with two respectable choices. We quite like the fee structure of the Allan Gray Australia Equity Fund and the fact it’s making genuinely independent investment choices. It’s our top pick but, with such a fund, bumps along the way will be inevitable. As all investing should be, this is definitely for the long term (at least five years). The Investors Mutual Australian Share Fund is our second pick. Its hefty minimum investment ($50,000) is unfortunate for smaller investors but its manager has shown a willingness to depart from the index, sometimes markedly, and to ride out the market’s cycles. These virtues seem to have overcome some internal ructions at the management company (staff turnover was particularly high a few years ago) and we’d be comfortable placing money with Investors Mutual while it’s overseen by veterans Anton Tagliaferro and Hugh Giddy. An investor could certainly do worse than split their Australian equity investments in the large stock area between these two funds, though the minimum investment for Investors Mutual may complicate matters for smaller portfolios.